An Op-Ed signed by eleven current and former Kentucky prosecutors calls for reforms to Kentucky's death penalty, in light of the recent report issued by the American Bar Association. 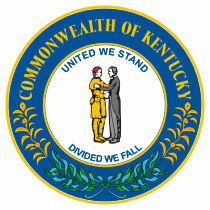 The ABA report was released in December after a two-year study of fairness and accuracy in capital cases in Kentucky. The prosecutors cite Kentucky's "unacceptable" 60% error rate in death sentencing, saying "As a matter of basic fairness, we must pause to understand and reform the way capital punishment is administered in our state." They recommend a suspension of executions until reforms are implemented, in order to ensure a fair process. Among their suggestions for reform are a proposal currently being considered by the state legislature that would exempt severly mentally ill defendants from the death penalty. Other recommendations include preservation and testing of biological evidence, increased funding for indigent defense, and revision of jury instructions. They conclude, "The hallmark of our criminal justice system is that its process is fair and its results are reliable and accurate. Our reversal rate undermines this hallmark. These troubling issues in capital cases must be addressed now." Of the 78 people sentenced to death in Kentucky since 1976, 50 have had a death sentence overturned on appeal by Kentucky or federal courts because of significant legal errors. That is an unacceptable error rate of more than 60 percent. Kentucky's justice system is at an historic moment. As a matter of basic fairness, we must pause to understand and reform the way capital punishment is administered in our state. Each of us is a current or former prosecutor, some of whom have prosecuted capital cases in our commonwealth. As prosecutors, we continue to believe that heinous criminal conduct must be punished severely in a way that advances public safety. However, punishment must be a result of a fair process that produces valid results in which we have full confidence. It is time to suspend executions in Kentucky until the reforms recommended by a groundbreaking professional study are implemented. Over the last two years, the American Bar Association Kentucky Assessment Team on the Death Penalty, consisting of two retired Kentucky Supreme Court Justices, a former chair of the House Judiciary Committee, distinguished law professors and bar leaders, conducted the most extensive evidence-based analysis of the manner in which the death penalty is administered in Kentucky in the history of the commonwealth. Its report focuses on fairness and accuracy in capital cases. It takes no position with regard to whether or not the death penalty should be abolished. It is only concerned with its proper administration. The independent, comprehensive evaluation of all death penalty cases prosecuted in Kentucky identified a number of very serious problems with the use of the death penalty. The study makes a series of critically important recommendations that will address the problems identified with the way the death penalty is administered in our state. ■ Adopt legislation exempting the severely mentally ill from the death penalty. There is a bill pending before the Kentucky General Assembly that would accomplish this reform, HB 145, introduced by Rep. Darryl Owens with 11 bipartisan co-sponsors. ■ Guarantee proper preservation of all biological evidence in capital cases. Courts should order DNA testing if the results could create a reasonable probability that a defendant should not have been sentenced to death. The Kentucky Supreme Court has been asked to consider a rule change that would rectify this problem. ■ Provide additional funding to ensure defense attorneys who represent indigent capital defendants are paid at a rate that will enable them to provide high quality legal services in matters as complex and demanding as a death penalty case. Recently, a report issued by the Kentucky Bar Association's Task Force on the Provision and Compensation of Conflict Counsel for Indigents made recommendations endorsed by the KBA board of governors to provide improved funding for capital cases. As a result, Kentucky's statewide public defender program has requested additional funds for this representation, but such funding is not now a part of the budget bill before the General Assembly. ■ Adopt guidelines governing the exercise of prosecutorial discretion in death penalty cases. Today, at great expense to the system, many cases are prosecuted as capital cases when the likelihood of a death sentence is very low. ■ Establish a statewide clearinghouse to collect specific, pertinent data on all death-eligible cases. ■ Amend Kentucky's post-conviction rules and practices to permit adequate development and consideration by the courts of an inmate's claims of constitutional error. A rule proposal has been submitted to the Kentucky Supreme Court to address this issue. ■ Revise the jury instructions typically given in capital cases to improve death penalty juror understanding and comprehension of the law to be applied. ■ Correct shortcomings of the Kentucky Racial Justice Act to ensure that the act serves as an effective remedy for racial discrimination in death penalty cases. The hallmark of our criminal justice system is that its process is fair and its results are reliable and accurate. Our reversal rate undermines this hallmark. These troubling issues in capital cases must be addressed now. This column is signed by John L. "Jack" Smith, former U.S. Attorney for the Western District of Kentucky; Alexander T. "Sandy" Taft, former U.S. Attorney for the Western District of Kentucky; Stephen B. Pence, former U.S. Attorney for the Western District of Kentucky and former Lt. Governor of the Commonwealth of Kentucky; Marc S. Murphy, former Jefferson County Commonwealth's Attorney; Michael J. "Mike" O'Connell, Jefferson County Attorney; Joe Gutmann, former Jefferson County Assistant Commonwealth's Attorney; Scott C. Cox, former Assistant U.S. Attorney; Larry D. Simon, former Jefferson County Assistant Commonwealth's Attorney; Will Collins, former Letcher County Commonwealth's Attorney; Jeffrey A. Darling, former Fayette County Assistant Commonwealth's Attorney; J. Stewart Schneider, former Boyd County Commonwealth's Attorney. See also New Voices and Studies.